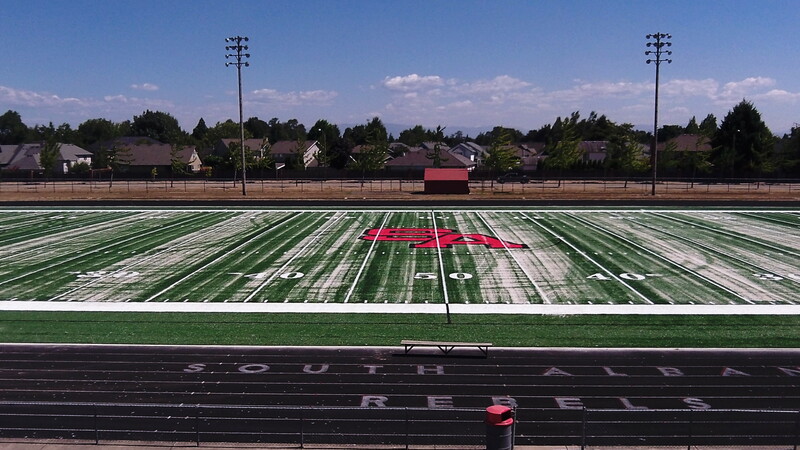 In case you’re keeping track of the installation of artificial turf on the football field of South Albany High School — and who isn’t? — here’s what it looked like on Monday. The sponsors’ logo, including this one for Coastal Farm and Ranch Supply, seem to be just about finished. The rest still looks a little sandy. 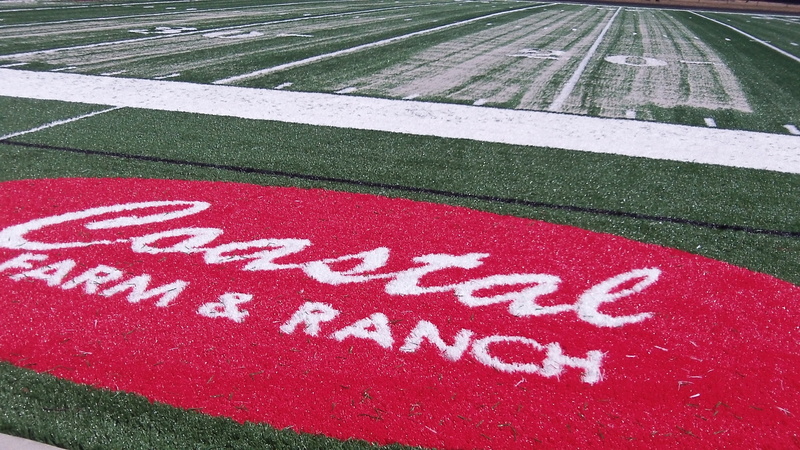 But there’s a good chance the field will be ready well before South’s first game there on Sept. 12. That should certainly help the football team. Not nearly as much as not having to play West Albany though.